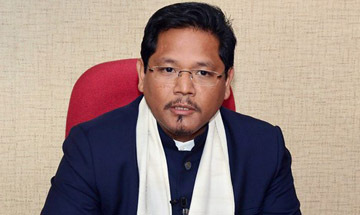 Meghalaya Chief Minister and National People’s Party (NPP) President Conrad Sangma on Tuesday said his party decide at an “appropriate time” on snapping ties with the NDA government over the controversial Citizenship (Amendment) Bill, 2016. “We will decide at an appropriate time, if the (Central) government goes ahead with the Bill in the Rajya Sabha,” Mr. Sangma said responding to questions on the demand of several groups to snap ties with the BJP over the amendment Bill. The tribal-centric NPP is supporting the BJP-led government in Manipur and Arunachal Pradesh, while the BJP is supporting the NPP-led Meghalaya Democratic Alliance government. Mr. Sangma along with other North-East-based regional parties had sought support of several political parties not to vote in favour of the Bill if it is tabled in the Rajya Sabha. The Bill, which was already passed by the Lok Sabha on January 8, seeks to remove hurdles for non-muslim migrants from six minority groups from Bangladesh, Pakistan, and Afghanistan from getting Indian citizenship. “We have met several leaders cutting across party lines in the national capital and had sought their support not to vote in favour of the Bill if it is brought in the Rajya Sabha. We are also in touch with leaders of Samajwadi Party and Bahujan Samaj Party,” the Chief Minister told news agency IANS. “We at the NPP along with several other political parties are totally against the Citizenship (Amendment) Bill as it will change the demography of the region,” Mr Sangma said. Be the first to comment on "Will Decide “Appropriate Time” To End Ties With NDA: Meghalaya chief minister Conrad Sangma"